Use it to unlock rewards in game. Capcom has announced free app called The Eye of the Dante, developed in collaboration with augmented reality experits Aurasma. 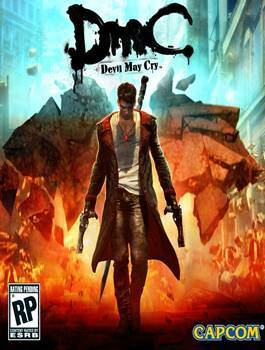 It’s being released to support the release of DmC: Devil May Cry. What? You don’t know what it is? Maybe your wiki here will get you up to speed with what’s currently revealed for it. The app will reward users with in-game currency that can be redeemed in the game which it comes out next year. There’s an organisation in the game called The Order whose boss is Vergil, Dante’s brother, and its created to stop the demons from taking over Limbo City. By joining that organisation you will be able to unlock rewards such as wallpapers and ringtones as well as redeem points in the game for Red Orbs. You can use that to unlock skills for Dante, and it’s a staple for the franchise. There are other types of Orbs as well, which nets you different things. “By simply using their smartphone camera, The Eye of Dante also allows users to discover hidden messages behind real-world items and objects, just as Dante has the ability to see through the demons’ lies and propaganda in the game,” the press release reads. The Eye of Dante can be downloaded via Google Play store or Apple Store for free.